Hi! My name is Rayana Weller and I’m a rising junior rhetoric major at Whitman. 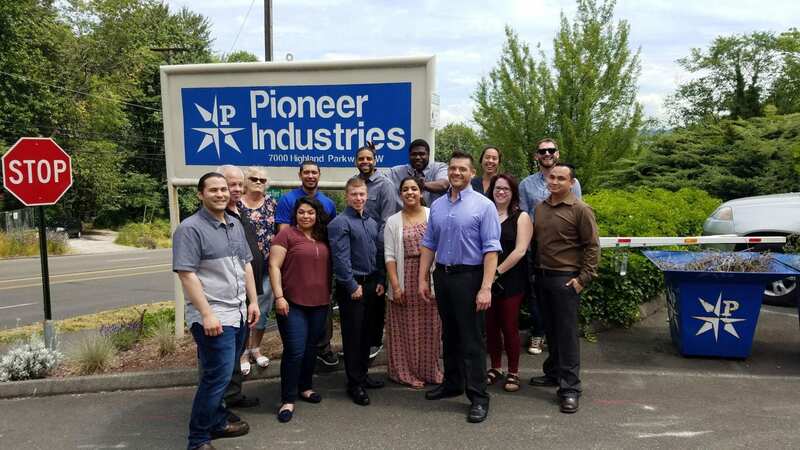 This summer I am interning at Pioneer Human Services (PHS), a nonprofit company in Washington State that provides services for people released from prisons or jails or in recovery. 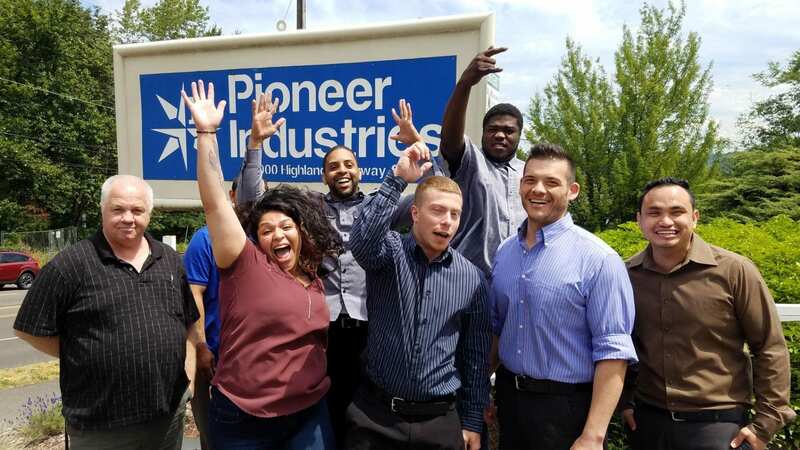 From treatment to affordable housing to job skills training, PHS strives to successfully re-enter individuals with criminal histories into society and help them live healthy and productive lives. I learned recently that PHS was founded by a man named Jack Dalton who was previously incarcerated in Walla Walla, just miles away from our school. His program started from a single halfway house in 1963 and grew to a company that helps over 10,000 people across Washington State today. I am an intern for the Roadmaps to Success (RTS) class and work alongside the instructor, Jerry Guerrero. RTS is part of the Workforce Development sector of Pioneer and we teach everything from soft skills like time management and communication, to resume writing and interview skills. The three week class happens every month and is divided into three week-long sessions: Cognitive Behavior Therapy (CBT), resume writing, and interview skills. My role in the classroom is to support Jerry in whatever he needs, which is usually teaching lessons or assisting people on the computers. Outside of the classroom, I work on projects like creating an end of course survey, a computer skills assessment, and editing existing lessons. My supervisors have been so generous and open with their support of my position and trust me with the responsibility to work on these projects which will likely be used in future classes too. The June class ended just a couple weeks ago and I enjoyed it more than I can say. Before starting, I was nervous that I wouldn’t connect with adults 10+ years older than me but it has never been easier to get to know a group of people. They were so willing to share their stories with me and so engaged in the curriculum and mission of PHS. My co-workers like to say that PHS is a family, and it truly is, in all sense of the word. We had so much fun! Each day was full of new stories and so much laughter. K (I will refer to all the students by their first initial) liked to talk to me about fishing and living on his family farm growing up. He’s in his late sixties and can’t go back to work yet due to a foot injury that wasn’t properly treated in prison. R took a crochet class in prison and made a pink bear for his niece that he gave to her when she got out. He played soccer when he was younger and when he hurt his ankle, he got addicted to the pain medication and went down the wrong path. RC loves bowling more than anything and plays on professional teams in Seattle. K gave me a list of movies that I need to watch. D has the cutest daughters I’ve ever seen. J has fourteen kids and is 28 years old. They all called me Ms. Ray Ray or Ms. Ray and trusted me as an intern and as a teacher. At graduation, I got emotional as I handed each student their certificate of completion, which was given to them in a new leather portfolio. Like everyone else at Pioneer will tell you, we are so invested and devoted to the work we do and the people that we help. 100 percent of the students from the last class got a job or got enrolled into an apprenticeship program. As a person who deeply believes in second chances and criminal justice/incarceration reform, I find reentry services vital and valuable and unquestionably worth it. I feel so fortunate that I get to work with this company and the individuals involved in it all summer and see the amazing results of believing in people and giving them the tools and resources to succeed. I’m looking forward to our July and August classes and the rest of my time at PHS!